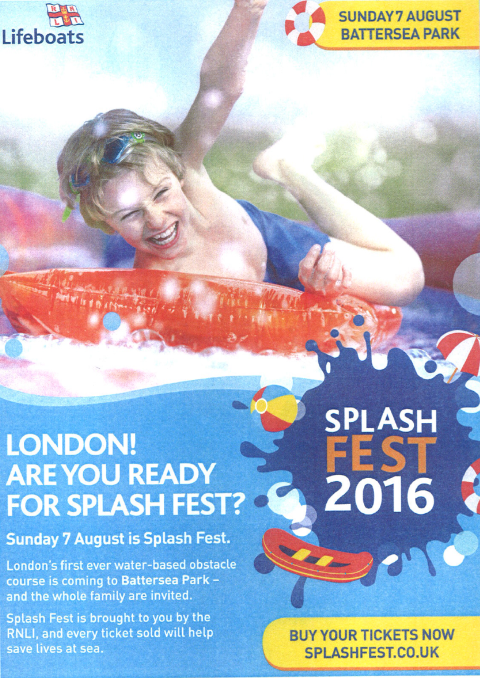 Battersea Park will become London’s first family-friendly aqua obstacle course on Sunday 7 August when Splash Fest opens. 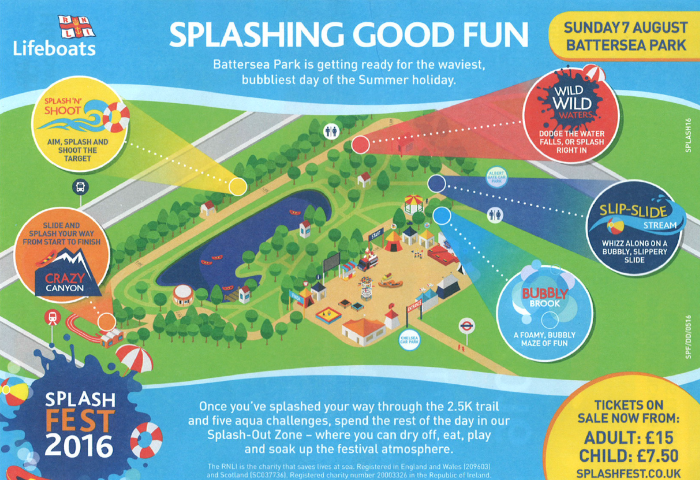 Organised by lifesaving charity, the Royal National Lifeboat Institution, Splash Fest will feature five zones of water-themed challenges and games over a 2.5km trail plus an event village. Crazy Canyon offering participants a lily pad challenge and giant inflatable water slide. The Splash Out Zone will be the place to go for live music, entertainment, food and drink, and a drying-off area. Early bird tickets for Splash Fest cost £15 for adults and £7.50 for children and are available from https://www.splashfest.co.uk/ until 30 May. After 30 May, the standard ticket price is £22 for adults and £10 for children aged 3-18. On the day tickets will cost £25 for adults and £10 for children aged 3-18. To ensure a steady flow through the Splash Fest obstacles, start times will be staggered and can be chosen when purchasing tickets.